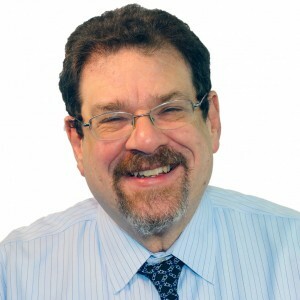 Dr. Scott Aaronson is a thought leader in the areas of biological psychiatry, diagnosis, and the integration of somatic and psychological therapies. 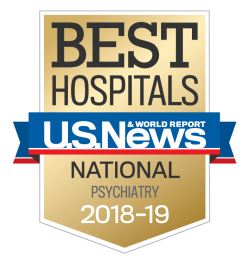 He is a clinical associate professor of psychiatry at the University of Maryland School of Medicine, distinguished fellow of the American Psychiatric Association, and is a fellow of the American College of Psychiatrists. Dr. Aaronson also serves on the board of the American Society of Clinical Psychopharmacology and the board of the Clinical TMS Society. He is the chairman of the mentorship committee for the Society of Biological Psychiatry. In addition to his work at The Retreat, Dr. Aaronson is the director of clinical research at Sheppard Pratt, where he is the principal investigator for multiple studies on the development of therapies for mood, anxiety, and psychotic disorders. He has particularly been involved with the development of new strategies to alleviate the symptoms in treatment resistant mood disorders, and has published numerous articles on his research including pivotal studies in the use of devices—Transcranial Magnetic Stimulation (TMS) and Vagus Nerve Stimulation (VNS) in the treatment of severe refractory mood disorders. Rush AJ, Aaronson ST, Demyttenaere K. Difficult-to-treat depression: A clinical and research roadmap for when remission is elusive, Aust N Z J Psychiatry. 2019 Feb;53(2):109-118. doi: 10.1177/0004867418808585. Epub 2018 Oct 31. Aaronson ST, Conway CR. Vagus Nerve Stimulation: Changing the Paradigm for Chronic Severe Depression? Psychiatr Clin North Am. 2018 Sep;41(3):409-418. doi: 10.1016/j.psc.2018.05.001. Review. PubMed PMID: 30098654. Martin DM, McClintock SM, Aaronson ST, Alonzo A, Husain MM, Lisanby SH,McDonald WM, Mohan A, Nikolin S, O'Reardon J, Weickert CS, Loo CK. Pre-treatment attentional processing speed and antidepressant response to transcranial direct current stimulation: Results from an international randomized controlled trial. Brain Stimul. 2018 Aug 23. pii: S1935-861X(18)30294-8. doi:10.1016/j.brs.2018.08.011. [Epub ahead of print] PubMed PMID: 30172724. Aaronson ST, Croarkin PE. Neurostimulation. In: Black DW, ed. Scientific American Psychiatry. Hamilton: Decker; July 2018. DOI: 10.2310/7800.13082. Aaronson ST, Philip NS. Neuromodulation. Psychiatr Clin North Am. 2018Sep;41(3):xiii-xvi. doi: 10.1016/j.psc.2018.06.001. Epub 2018 Jul 17. PubMed PMID: 30098663. Kavanaugh BC, Aaronson ST, Clarke GN, Holtzheimer PE, Johnson CW, McDonald WM, Schneider MB, Carpenter LL. Neurocognitive Effects of Repetitive Transcranial Magnetic Stimulation with a 2-Coil Device in Treatment-Resistant Major Depressive Disorder. J ECT. 2018 Apr 2. doi: 10.1097/YCT.0000000000000494. [Epub ahead of print] PubMed PMID: 29613944.